PRINCE GEORGE, B.C. 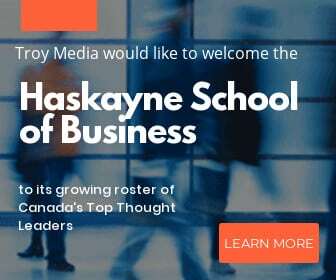 July 28, 2016/ Troy Media/ – “Truth is incontrovertible. Malice may attack it, ignorance may deride it, but in the end, there it is,” Winston Churchill said. Those words stand in stark contrast to those preached on the other side of the English Channel during Churchill’s Second World War tenure as British prime minister. Adolf Hitler knew the power of propaganda and used it to convince millions to believe a series of lies. He proclaimed that Germany could have won the First World War had it not been betrayed, primarily by Jews. The threat of communism was real during his rise to power, and Hitler falsely blamed this on Jews as well. His deceit led to one of the darkest pages in human history. Had people simply looked a bit deeper at what Hitler was saying, it would have been very obvious that it was grounded in anger, fear and racism, and had nothing to do with truth. In today’s world, negative propaganda is alive and well. But there is no reason it should be able to take hold among us. First, we can look at history and see that blindly following such messages leads to disaster. Second, we can study leaders who used media to spread messages of truth and peace, bringing permanent and positive change to the world. Mohandas K. Gandhi and Martin Luther King Jr. are two of the best examples. Third, accurate information is at our fingertips. The Internet is a tremendous tool. 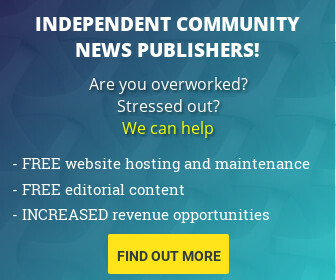 We can find answers to almost any question in minutes. This poses a great challenge to our educational system, however. Because a plethora of information is available, how do we know what is truth and what isn’t? It’s vital, then, that we teach young people how to differentiate between reliable and unreliable sources. Once we embrace our responsibility as global citizens to always seek truth and learn to use it for good, we become resistant to negative propaganda and a force for positive change in the world. We see, for example, that statistically immigration is very good for host countries, especially those with falling birth rates. Immigrants become the workers who support an aging population. We also see that immigrants are much less likely to break the law than those born in a country, thus lowering crime rates. In addition, we see that it is very difficult to generalize any population because every group is made up of unique individuals. In his classic book [popup url=”http://amzn.to/2av55vT” height=”1000″ width=”1000″ scrollbars=”1″]The 7 Habits of Highly Effective People[/popup], Stephen Covey points out that great leaders “seek first to understand, and then to be understood.” The fact that every individual has a unique perspective is actually a powerful force. By listening to each other and respectfully expressing our own views, we can come up with better ways to do things. In this way, diversity is strength. This is not only the case with groups of individuals, it applies to governments. Canada, for example, is arguably a much more influential country today than it was 100 years ago. Our diversity has made us stronger. We can choose ignorance and succumb to believing lies, but we know where that leads. Truth is incontrovertible. When we can work together in a spirit of respect and understanding, we can climb to amazing heights and make life better for everyone. The choice, as well as the responsibility, rests within each of us. Gerry Chidiac is an award-winning genocide educator from Prince George, B.C. 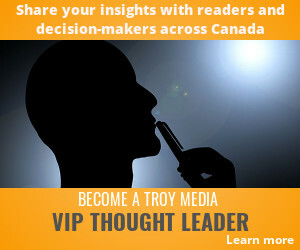 Gerry is also included in Troy Media’s Unlimited Access subscription plan. 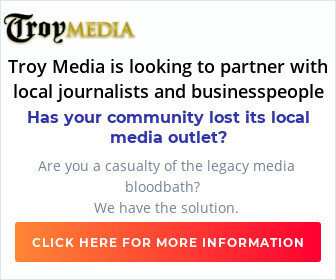 [popup url=”http://marketplace.troymedia.com/2016/07/overwhelming-power-truth/” height=”1000″ width=”1000″ scrollbars=”1″]Download[/popup] this content for your publication or website.